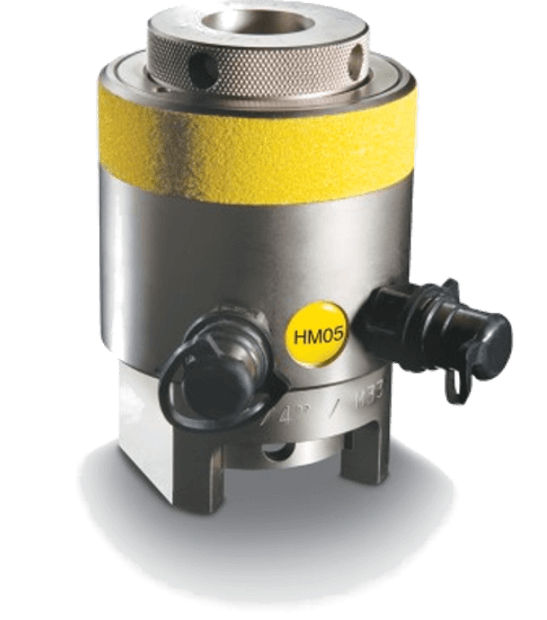 Pickford carries the Hydratight brand of hydraulic stud tensioners for industrial construction and maintenance bolting. Several models are available including the HydraMax, and HL Series Tensioners. Hydratight HL Series Tensioners are a simple and basic tool for tensioning most bolted joints. Stud sizes from 1-1/8" to 2-3/4" diameter. Maximum working pressure 15,000 psi. 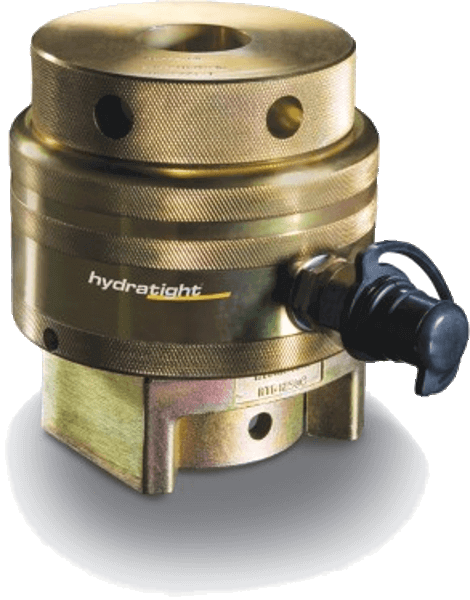 Hydratight HydraMax® Tensioner is a compact yet high load generating tensioner designed to fit all standard flanges including ANSI, API, and Compact flanges. Stud sizes from 1-1/8" to 4" diameter. Maximum working pressure 21,750 psi. Stud tensioning is one of the most efficient methods of applying a clamping load onto a bolted joint. With hydraulic tensioning the stud is hydraulically stretched and this load is then captured by turning the nut snug to the joint face and releasing they hydraulic pressure. This method eliminates the effect of friction on the applied load. Pickford can supply rental hydraulic stud tensioners to all of Western Canada including Manitoba, Saskatchewan, Alberta, and British Columbia from our 40,000 sq.ft. Edmonton warehouse.